The Multiple selection differentiates between displayed and saved values. 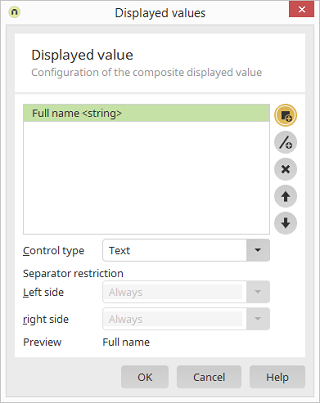 If, for example, a User ID is to be saved, the user's full name can be used for the display. To display the additional functions that API provides, we will start by adding and configuring a Multiple selection element. Add a Multiple selection to an edit page. 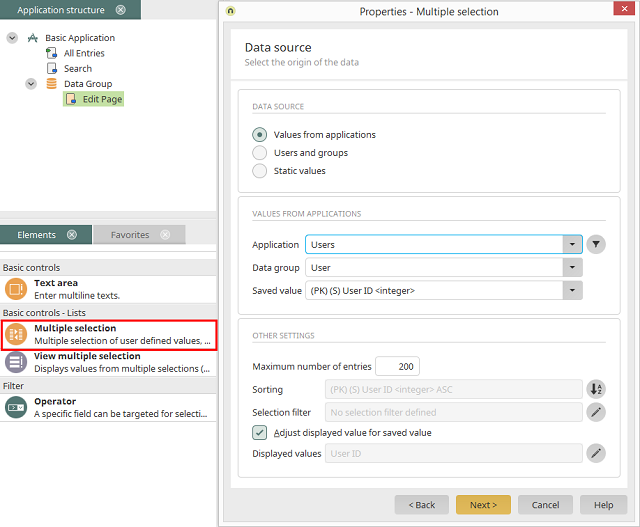 On the Data source tab, select the option "Values from applications". 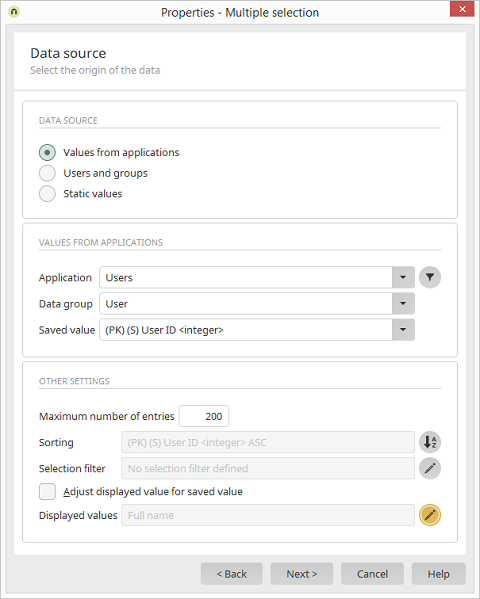 Select "Users" both as the application and as the data group. In the saved value list, we need the data field "PK (S) User ID". This means that the User ID is saved for each user that is selected by the end user in the multiple selection. 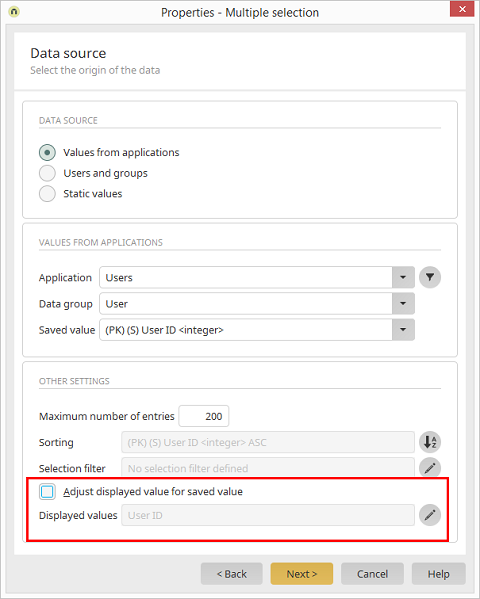 Because the end user wants to see the name of the user and not the User ID, the setting "Adjust displayed value for saved value" needs to be deactivated. The displayed value can be selected by clicking on "Displayed values". 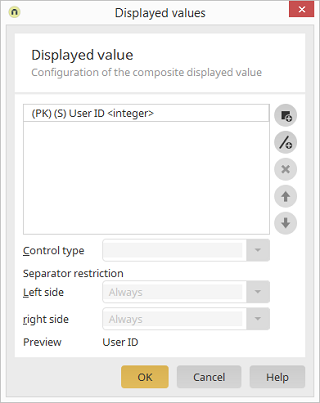 Because the User ID is not needed for the display, you can remove this entry from the list by clicking on " Remove displayed value". 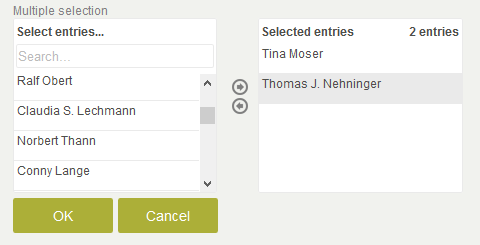 Afterwards, click on "Add displayed value" and select the data field "Full name" in the subsequent dialog. Here in the Save options, the field is defined where the value to be saved is stored. 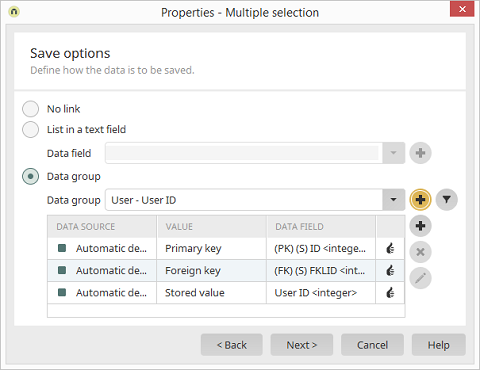 With the option "Data group", a subordinate child data group is automatically generated - in our example the data group "User - User ID". The name of the data group comes from the application and data group that you selected as the data source in the previous step. Click on "Next". The multiple selection can now be used in the browser. // Searches for an entry with the specified search term. 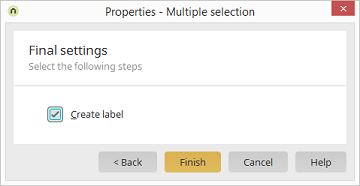 In the properties dialog of the multiple selection, the change can be reacted to using the "onchange" event. A nuanced reaction within the control can be achieved by registering event handlers.